Give company morale a boost with group benefits such as California group health insurance and disability coverage from Strong Tie Insurance. Businesses can use group benefits as a major morale booster for current employees or a recruitment lure for prospects. It’s only logical to think that the better package you offer your employees, the better the caliber of employee you can maintain. It’s amazing how strong an impact you can make with benefits such as disability insurance and California group health insurance. California group benefits packages are available at affordable rates through Strong Tie Insurance. When an applicant looks for employment, the two most important factors they consider are salary and benefits. Strong Tie Insurance will help you retain better employees by helping you establish an affordable and attractive employee benefits package. Whether you are looking to implement disability insurance, group dental insurance or California group health insurance, we’re your solution. Possibly the most eagerly anticipated benefit for prospective applicants is California group health insurance. 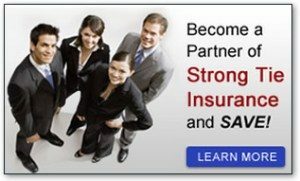 California businesses and their employees benefit greatly from the group health insurance plans offered by Strong Tie Insurance. Our agents can customize a group benefits package that caters to your unique specifications. Give us a call today to find out how you can give your company a boost with group benefits!